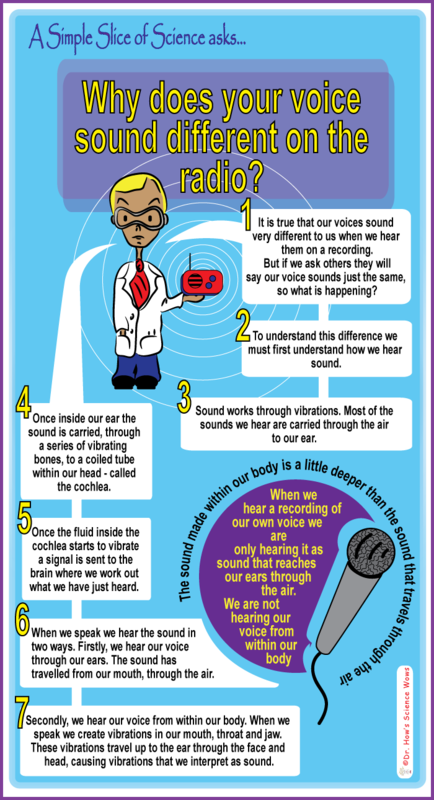 A simple slice of science – why does your voice sound different on the radio? Dr. Simple is back with another really cool question. This one comes in from Jill, who can often be found here, when she is not pondering such questions as…. why does your voice sound different on the radio? That is something I often pondered. Brilliant, as always!